It was ‘third time lucky’ for Cameron Pilley when the second-seeded Australian overpowered Dutch favourite Laurens Jan Anjema to win the Dutch Open title in his third successive appearance in the final of the $30,000 PSA World Tourevent at Victoria Squash in the city of Rotterdam. The tall Aussie made amends for losing out in the 2008 and 2009 Dutch Open finals – to England’s Nick Matthew andDaryl Selby, respectively – by upsetting the seeding and denying the large home crowd a home victory. Remarkably, it was both players’ 25th appearance in a PSA World Tour final. Pilley started the final in full swing, firing in blistering drives from the onset, forcing his opponent away from the T-area. However, left-hander Anjema resisted heavily and the crowd were in for a real treat. With the players matching each other in intensity and determination, it was always going to come down to a few points here and there – and the Netherlands-based Aussie ended up the one winning the most important ones. After 105 minutes the scoreboard showed an 11-7, 11-9, 11-13, 14-12 score line in favour of Pilley – whose latest success is sure to boost the 28-year-old from New South Wales’s chance of bursting into the world top ten for the first time. 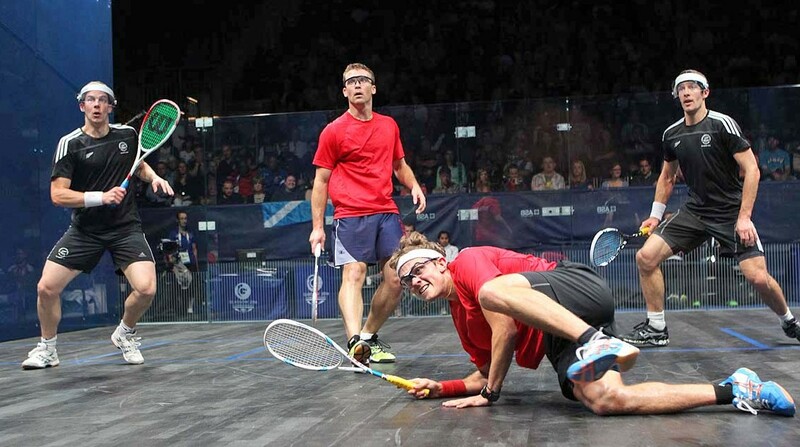 Pilley’s success, his biggest title to date, marks the 13th PSA Tour title of his career. Home favourite Vanessa Atkinson played out of her skin to claim the Dutch Open Squash 2010 title in Rotterdam, the ‘capital of sports’ in the Netherlands. The 34-year old from The Hague crowned a wonderful week with an impressive win over Madeline Perry, the event’s second seed, in the final of the $25,300 WISPA World Tour event in front of a packed and appreciative crowd at the renowned at Victoria Squash Club. Atkinson started off slowly, going 2-6 down in the opening game, but took charge from that moment onwards and totally dominated her higher-ranked opponent. The 2004 World Champion displayed a level which was simply too much for Perry to handle, and romped home to an 11-9, 11-3, 11-7 win. The Dutch Open triumph, her second since 2002, marks Atkinson’s 24th WISPA Tour title, and makes a perfect home country ending for the 12-time Dutch National champion who has announced that she will retire in May 2011.